Moladi has launched it' s formwork construction technology in Botswana with huge success. Present at the show house was members from the Botswana Defense Force (BDF) including Major General Masire, commander of the armed forces, who was amazed at the speed at which the 54 square meter, two bedroom home, was completed. The unit constructed at Sir Seretse Khama Barracks in Mogoditshae in Botswana was also visited by a delegation form Botswana Housing Corporation (BHC) including the General Manager, Mr Reginald Motswaiso. Due to the speed and quality of construction of the Moladi construction technology various Government department have indicated their requirements to address the backlog they face. Namely: - Prisons Department, Botswana Police Service, Central District Council, Botswana Power Corporation, Botswana Housing Authority and Department of Housing. Promoters of a new building technology, moladi, introduced into Nigerian housing market recently have said that the new technology will produce houses that will resist fire or burglary incidents in home. According to them, the new technology might be the means through which homeownership dream of an average Nigerian home seeker would be realised as it is going to deliver a modest three-bedroom flat at an 'affordable' cost of N3.7 million. Hennie Botes, chief executive officer, Moladi Worldwide, the building technology firm that brought the new technology into Nigeria, at a media briefing in Lagos described it as just simple, explaining that it involves a very simple operation. 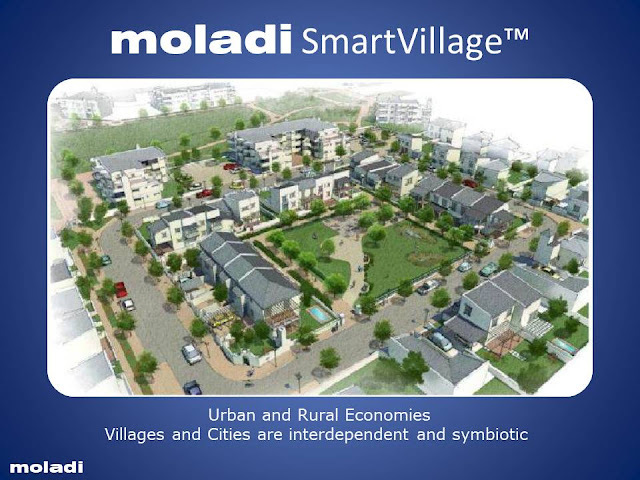 A South African firm, Moladi Building Communities and its Nigerian subsidiary has introduced a super low cost housing technology to the market. Unveiling the over 24-year-old low cost building technology on Thursday in Lagos, the Chief Executive of the firm, Mr. Hennie Botes, said the technology is unparalleled in super low cost housing production. He said that the technology, which is a plastic concrete formwork system, provides and assists with the full range of requirements involved in the transfer and use of a proven low construction cost housing technology. House building experience is bound to change soon in Nigeria as a new building technology is introduced into the country. The system, called Moladi technology, was unveiled in Lagos on Thursday at the site of the first building sample. 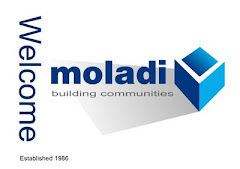 Introduced into the country by Moladi Nigeria Limited in franchise with a South African building firm, Moladi South Africa, the system involves erection of plastic formwork on the plan lines after laying the raft foundation. Mortar is then pumped inside the formwork and left to dry for 15 hours after which the formwork is dismantled and removed leaving a solid wall smooth on both sides. Highlighting the advantages of the new building technology, the Chief Executive Officer, Moladi SA, Mr. Hennie Botes said the system was borne, out of the need to reduce the cost of building houses, thereby, making ownership of homes easily accessible by the low income earners. 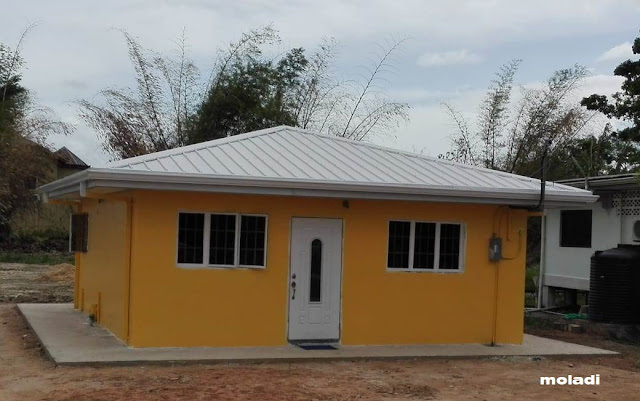 Efforts to facilitate the construction of mass housing by the Nigerian government has received a boost, with the unveiling of the Moladi building technology from South Africa, in Lagos, last week. 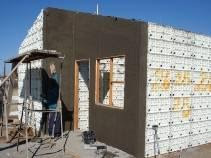 At the public presentation of the pilot scheme of the project, Chief Executive Officer of Moladi, Mr. Hennie Botes, remarked that the Moladi technology combines a lightweight, reusable and recyclable modular injection moulded plastic shutter plastic formwork system and a lightweight aerated mortar (concrete with no stone), resulting in durable and permanent monolithic (one piece) reinforced walling system, which is earthquake, cyclone and tsunami resistant.